UCONNECT VOICE COMMAND W/BLUETOOTH -inc: leather-wrapped shift knob, leather-wrapped steering wheel, auto-dimming rearview mirror w/microphone, UCONNECT TOUCH 8.4 -inc: AM/FM stereo w/CD/DVD/MP3 player, 8.4" touch screen display, air conditioning w/dual zone auto temp control, front/rear aimable LED reading lamps, overhead console, passenger assist handles, dual visors w/illuminated mirrors, SOUND GROUP -inc: AM/FM stereo w/CD/DVD/MP3 player, Uconnect touch 8.4, 8.4" touch screen display, 368-watt amplifier, (6) premium speakers, subwoofer, front/rear aimable LED reading lamps, passenger assist handles, portable rechargeable trouble light, illuminated sun visor vanity mirrors, universal garage door opener, POPULAR EQUIPMENT GROUP -inc: high beam daytime running headlamps, front/rear aimable LED reading lamps, front passenger fold-flat seat, interior observation mirror, overhead console, passenger assist handles, passenger seat cushion storage, 4-way pwr driver lumbar adjust, 6-way pwr driver seat, premium cloth low-back bucket seats, remote engine start, dual visors w/illuminated mirrors, auto headlamps, universal garage door opener, security alarm, PEARL WHITE TRI-COAT, P225/65R17 ALL-SEASON TOURING TIRES (STD), HIGH BEAM DAYTIME RUNNING HEADLAMPS, FLEXIBLE SEATING GROUP -inc: 2nd row 40/60 tilt & slide bench seat, 3rd row 50/50 fold/reclining bench seat, air cond w/3 zone temp control, easy entry system seat, rear air cond w/heater, BLACK, PREMIUM CLOTH LOW-BACK BUCKET SEATS, 6-SPEED AUTOMATIC TRANSMISSION. This Dodge Journey has a dependable Gas V6 3.6L/220 engine powering this Automatic transmission. 28E SXT CUSTOMER PREFERRED ORDER SELECTION PKG -inc: 3.6L VVT V6 engine, 6-speed auto trans , 3.6L VVT V6 24-VALVE ENGINE, 17" X 6.5" ALUMINUM WHEELS (STD), Vehicle info center, Variable Intermittent Wipers, Uconnect touch 4.3S -inc: AM/FM stereo w/CD/MP3 player, Trailer sway damping, Traction control, Tire pressure monitoring display, Tip start, Tinted windshield, Tilt/telescopic steering column, Supplemental front/rear side-curtain airbags, Supplemental front side airbags, Sunscreen glass, Steering wheel audio controls, Speed control, SIRIUS satellite radio (subscription required), Sentry Key theft deterrent system, Removable short mast antenna. 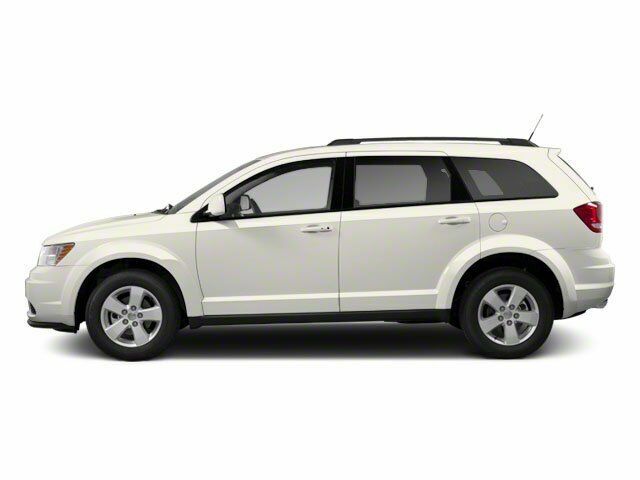 As reported by KBB.com: If your growing family demands a vehicle with minivan-like proportions, but you don't want a minivan, check out the 2013 Dodge Journey. With its available V6, 7-passenger seating and AWD, the Journey can handle most of what fits into a traditional minivan and still maintain its less-bland SUV-like appeal.